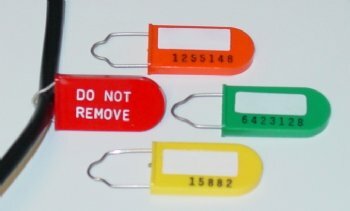 Marking tags specifically designed to grasp coaxial cable. Widely used to mark the routing, service level, or installation information of coaxial cable. Note: Red stock seal does not have a write on panel.